NYJL volunteers and guests came in from the cold and kicked off the ski season at the 7th Annual Après-Ski Winter Fundraiser on Friday, January 26, 2018. 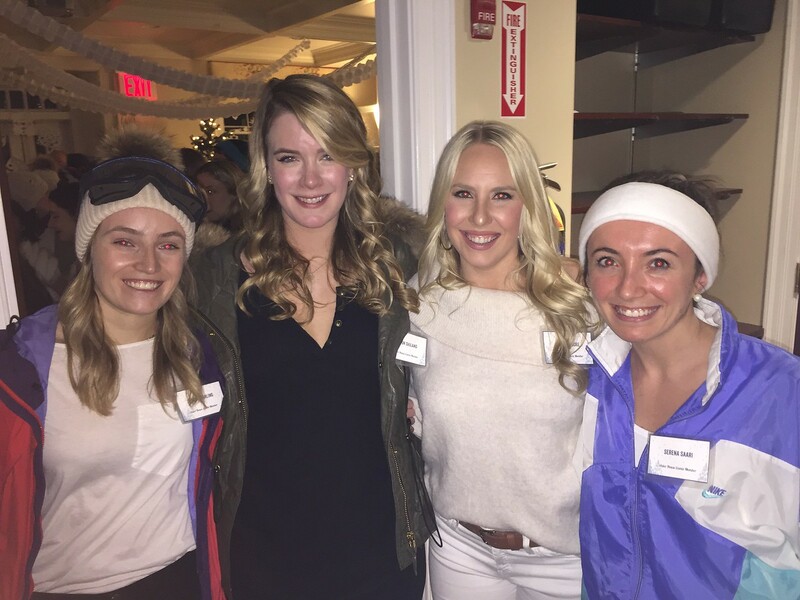 Hosted by Astor House events committee, the sold-out event had revelers donning their warmest après-ski attire. The House was decorated like a winter lodge with silver balloons, string pearls, hanging snowflakes, crystal trees and barn candles. A makeup and hair station was also available for “touch ups” provided by Glamsquad. Guests enjoyed festive cocktails and delicious hors d’oeuvres while dancing the night away with DJ Supra. The NYJL holds a variety of fundraisers throughout the year designed to generate the vital dollars necessary to support our charitable activities. The success of these events, along with generous donations from individuals and businesses, helps us achieve our mission to improve the lives of women and children in New York City. Your attendance and support at our events also helps fund annual signature programs like our Community Improvement Project, where we help a Manhattan-based organization increase its community impact, as well as our Playground Improvement Project, where we help renovate a local park. We hope to see you at an upcoming fundraiser to learn more and to support the work we do in New York City!